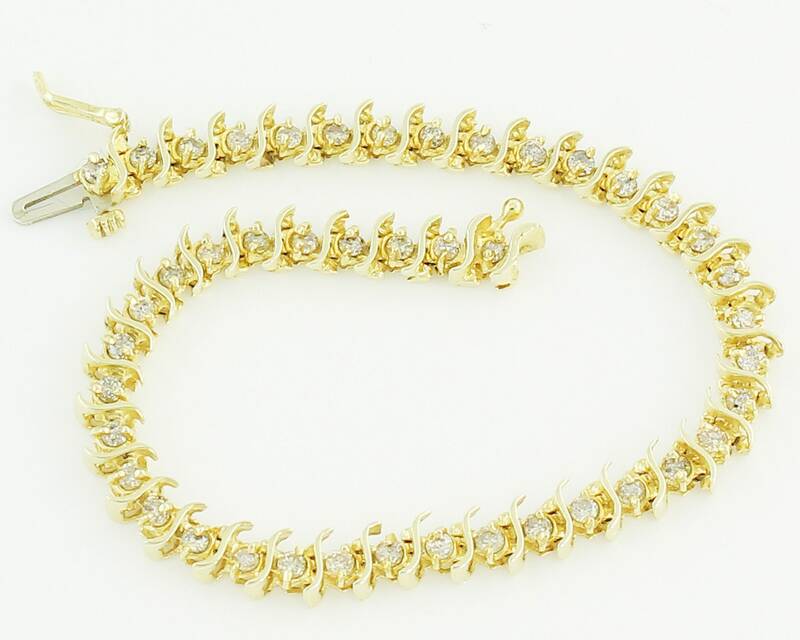 Vintage 2 CT Natural Diamond 14K Yellow Gold Tennis Bracelet. 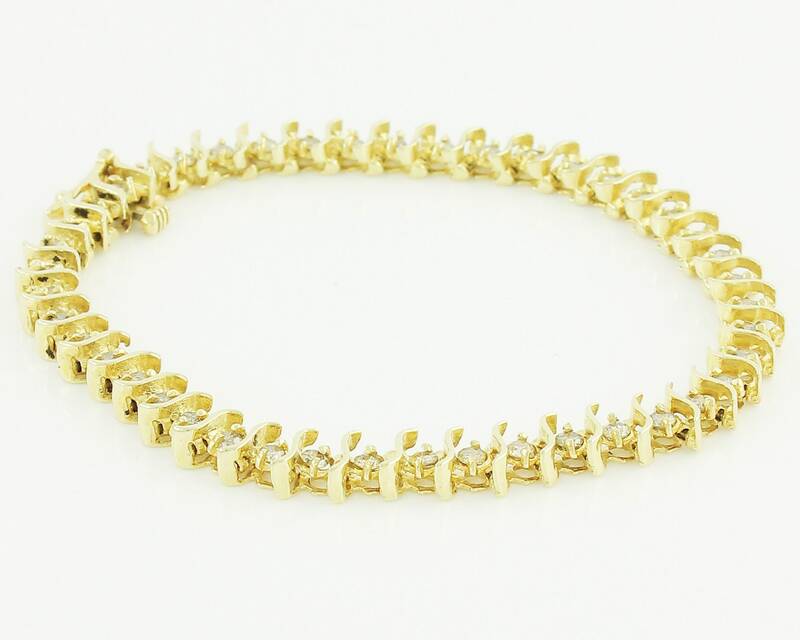 This tennis bracelet was made in the 1980s and features forty-four (44) round brilliant cut natural diamonds prong set between S link accents. The estimated total stone weight, as estimated by measurement, is 2 carats. 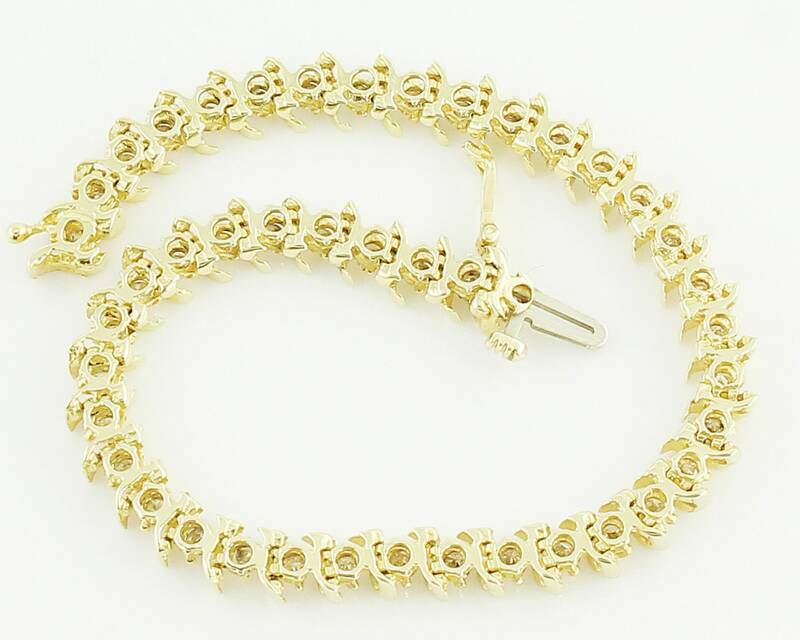 The bracelet is 7" long and is 5.35 mm wide. It is finished with a box catch and figure eight safety clasp. In very good vintage condition, with very minor surface wear. CONDITION: In very good vintage condition, with no damage noted.